Thanks to a devoted blog follower of MaryRefugeOfHolyLove, I found out about the documentary, The Vatican Deception, which will have a worldwide online release this upcoming Saturday, October 13, 2018. It is essentially about the Third Secret of Fatima and how there has been a Vatican cover-up in releasing the full Secret from Sister Lucy. It follows the works of Father Gruner, who is well-known for the Fatima Crusader–his life’s work on promoting the Consecration of Russia to the Immaculate Heart of Mary so as to avert nuclear war and bring about the promised peace of the Triumph of Our Lady. Finally, I want to include a message from the Blessed Mother about Father Gruner, who passed away in April 2015, where She was commenting about the Third Secret of Fatima, as well as the official documentary trailer and some additional information from the official website. God bless! Everything is locked up, awaiting its time. Some forces (good and evil) are never released. I want to explain these mysteries. Every moment, graces flow from the Trinity to the world. However, many graces lie unopened. Their time comes and their time goes. They never bless humanity. This causes many other blessings also to be lost because one blessing is meant to prepare for another. So that the blessing of Jesus would not be lost, the Holy Spirit perfectly prepared my heart, and I received the world’s Savior without any diminution of the gift. The gift of Jesus came perfectly, both in its power and in its time – the fullness of time. The Church was born on Pentecost at the right time. After that, graces were always given at the right time, like Jesus’ appearance to Paul on the way to Damascus. Every grace had its moment in God’s time and every generation was to accept its moment in history. For this present generation, God has gifts, perfect gifts, at just the right moment. Their time comes. If accepted, the gifts open and bless. If rejected, the gifts die, like withered grapes that have never been sent to the winepress. The great gift for this time is Fatima and for so long it has remained on the vine. The priest who spoke out so fearlessly has died, yet his message lives. If only my gift had been received by willing hands, I would gladly have allowed it to be crushed and its blessings pour out like wine. Now it withers. A time will come when the wine of Fatima will flow into human history. Many will say that much time has been lost. That is true. However, during this century, many forces of evil have also not been opened. Otherwise, there would be no humanity to receive the Fatima gift. All is not lost. The Father has many ways to bring about his plans. Comment: Our Lady mentioned a priest who spoke out fearlessly. This was Father Gruner. This is the official movie trailer for the new feature documentary film called THE VATICAN DECEPTION (2018). SYNOPSIS: At the turn of the third millennium, the Catholic Church finds itself embroiled in the greatest crisis of its 2000-year history – a crisis that the prophecies of Fatima say is leading to global devastation. In July 2017, Pope Benedict XVI said that the Catholic church is “on the verge of capsizing”, and many are now calling The Vatican Deception a valuable resource for people to understand why. The film features an eye-opening interview with Chief Vatican Exorcist Father Grabriel Amorth (from “The Devil and Father Amorth” by Oscar winning director William Friedkin). Watch The Vatican Deception at http://www.thevaticandeception.com/ as a 2-day “rental” for $4.99 US starting October 13, 2018 if we can reach a minimum target of 70,000 pre-ordered rentals worldwide before that date. You will not be charged the rental fee until the target is reached and the film is released, and you can cancel any time before the release date. The success of this release is in your hands. The award-winning team of Producer Mark Terry and Director Paul Stark brings you THE VATICAN DECEPTION – a feature documentary that examines several controversial prophecies and why many believe they are at the heart of the most significant cover-up in the Vatican’s history. Several prophecies were reported by three children to have been revealed by the Blessed Virgin Mary in Fatima, Portugal, during a series of apparitions that took place at the height of World War I. According to the children, the Virgin announced the end of the Great War, and what followed was a miraculous turn of events that led to the historic armistice of November 11, 1918. The prophecy of greatest interest involves an instruction for the Pope to consecrate Russia – a five-minute prayer that would stave off a global apocalypse. Fatima scholars argue that the consecration of Russia has been attempted by several Popes, but never fulfilled as instructed by the prophecy. While the threat of Russian invasion in the Ukraine is renewing fears of World War III, the Vatican remains strangely evasive about the Russian consecration. 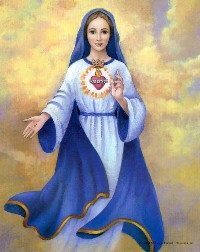 On June 26, 2000, the Vatican published what is known as the Third Secret of Fatima. The document contains a mysterious vision with apocalyptic themes, and a reference to a missing text that has been conspicuously guarded by the Vatican since 1957. The Vatican is suggesting there is nothing more to publish; however, evidence to the contrary has appeared in recent years. Key questions remain unanswered, contradictions are surfacing between Popes and Bishops, and evidence regarding manipulation of truth is emerging day by day. “He deceives himself who thinks the prophetic mission of Fatima is concluded,” according to a statement made by Pope Benedict XVI. This feature documentary explores the evidence with exclusive footage of Pope Benedict XVI and Pope Francis, and includes revealing testimonies from Cardinal Tarcisio Bertone (the former Vatican Secretary of State), Dr Malachi Martin (Vatican professor and advisor to three Popes), Father Gabriele Amorth (Chief Vatican exorcist), and many more. Amidst these testimonies lies an incredible story of incalculable human tragedy, and hope for a peaceful future. Join us as we take you on a remarkable journey to Rome and around the world to reveal the hidden truths behind the ominous prophecies, and why they are considered by millions to be humanity’s final hope.